As much as I love wearing black, I equally love bright hues. I often find that some of my friends are scared or don't feel comfortable wearing neon colors in their daily outfits. If this is you, why not start to add color into your wardrobe with accessories? Taking risks with accessories can be a great way to ease into adding color into your life, while still feeling like yourself. 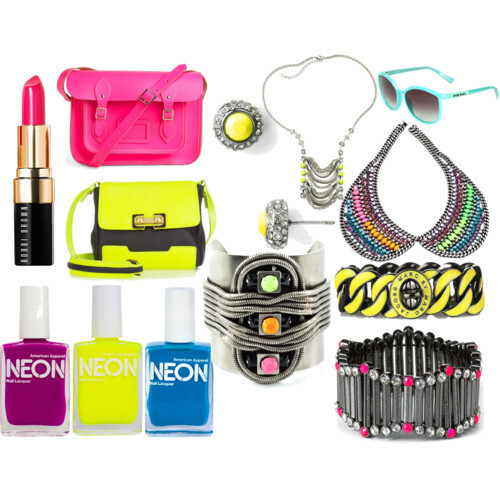 Here are a few of my favorite bright colored accessories that might inspire you to add color to tomorrow’s outfit! Hi dear! Thanks a lot for you sweet comment in my blog! I love the trend and the objects you've chosen. I've seen a pink satchel like that and I think it's going to me mine! I am loving the neon trend! I think I'll start with a neon purse - I heard there are some cute ones at Old Navy. Great post, love all the colours! The neon colours are Must-have! 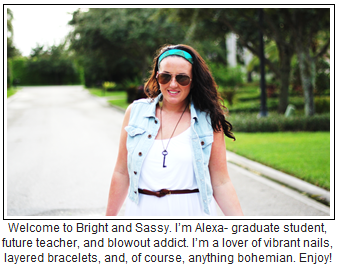 can you follow me on bloglovin? and after I'll do the same! A brightly colored Cambridge Satchel is at the top of my want list! I've been loving the neon trend! That Marc Jacobs bag is adorable! Alexa, you are right, accessories are a great way to add color! Nail polish and lipstick are good and inexpensive ways to try colors as well! Love your blog, perhaps we can follow each other? id love to receive more of your fashion tips! Love neon! Just a touch goes a long way. takes me back to when I was a little girl in the 80's. Loving that the neon colors are coming back! Great choices to showcase! You and I have the same idea and post today! I'm loving neon colors like you. I love all of those nail polishes! Neon nails are so fun. I love the neon sunglasses - so fun! The Marc bag is my favorite. I love it. Neon is my favorite this spring. thanks for the sweet comment, I'm loving all the neon colors! I am in love with this post!! !this is the year of neon clothes!! I want number 3 and 5!!! FAB. Thanks for your comment!! Love that Dannijo 'Hixson' Necklace!! !